Life is not a bed of roses and this is one true statement that is applicable for any stage of life. We, individuals, are nothing but a bundle of emotions. Each one of us is different from one another in terms of the emotions we display and the connected mental power. We seldom live our life all alone. At every stage of life, we are surrounded by relationships that are relevant to that particular stage we are experiencing. Relationships differ in intensity and intimacy based on their nature. Some relationships travel with us lifelong while some part away from us half way through our journey. But the common thing, most of the relationship we experience goes through high and low ebbs. During the high tide scenario, the excitement and feeling of being loved we experience have no bounds. However, when relationships go berserk, we feel heartbroken. The feeling of ‘being let down’ that we experience whenever we feel heartbroken depends on the closeness we share in a given relationship. Some relationships can be done away in life permanently. However, some relationships need to be endured with for one reason or the other till the end of our life. 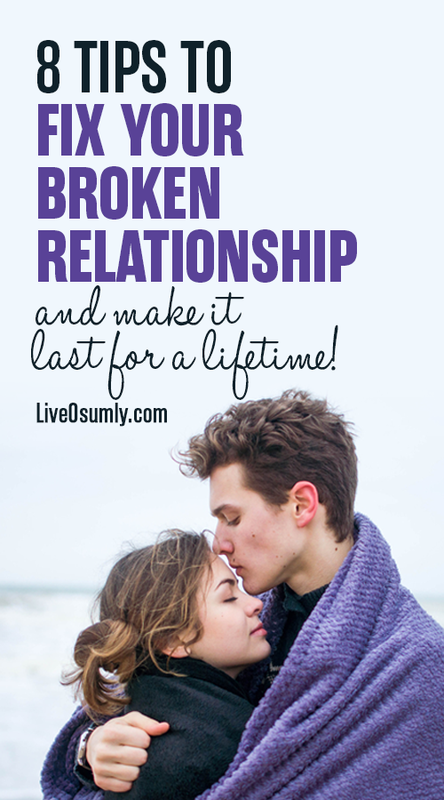 When we miss a broken relationship badly, it is an indicator that we need to fix it by taking appropriate measures. Good relationships teach us many positives while broken relationships teach us the knack to choose good ones. Some broken relationships need to be mended for our own good and on time before things go out of hands. Hence, let us look at ways to fix a broken relationship. 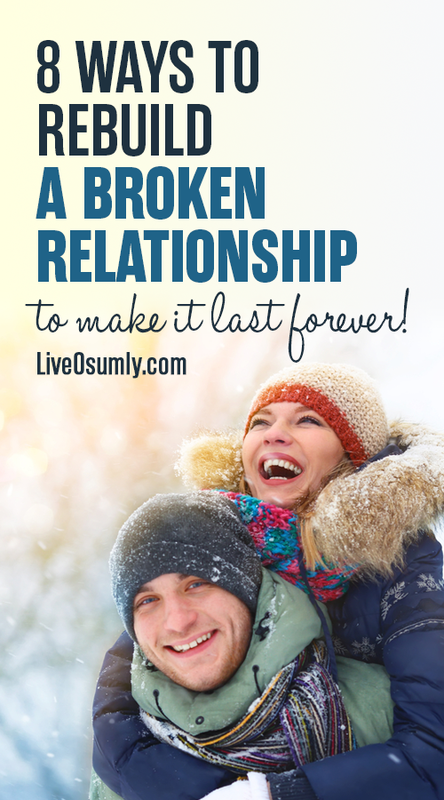 Here are few ways to fix a broken relationship and recreate the passion in your lost love. Most sincere relationships survive the storms of life in a successful way when efforts towards the same are taken by all concerned. Relationships offer value addition to the your lives when the respect and love involved are mutual. Any levels of deceit exhibited in either of the quarters pave way for drifting away creating a crack in the relationship. This crack gets widened when least or no efforts are taken by either party involved to mend it on time. When you sincerely wish to fix a broken relationship, time plays a crucial role. After all, a stitch in time saves nine. When a torn cloth is not stitched on time, the damage becomes a lengthier one making it unusable. In the same way, when a relationship goes wrong, apply your mind to the details involved in it and try to solve it. Think and subsequently, rethink where the issue is. If the reason for the breakup is ‘you’, think deeply as to what can be done from your side to fix it. Ego can be a killer if it’s not under your control. Think about situations or words that have caused the unpleasant rift in your otherwise much-valued relationship. Irrespective of whoever was the reason for the split up or whatever justification you have from your side, go for an open talk. Hiding one’s true emotions from the other person causes many kinds of relationship issues. When you talk with each other transparently, you are bursting the ego that was preventing you from fostering the relationship till then. Remember, when you decide to call the other person for an open talk to rebuild a broken relationship with them, be open-minded. Do not blame the other person for all that has happened. Accept your follies gracefully. If they reciprocate same levels of positivity, make them understand what went wrong and how it could have been avoided. If the other person involved is as much interested to fix a broken relationship as you are, open talk can be the best solution. Communication is the key to successful relationships. Communicating the right things in the right way and at the appropriate time keep relationships intact. Meanwhile, communicating the right things at the wrong timings spoil an otherwise healthy relationship beyond manageable limits. This means that communication and empathy are two different things that are closely related to each other. In particular, when you try to mend a broken relationship, communication without empathy and vice versa acts like a spoilsport. 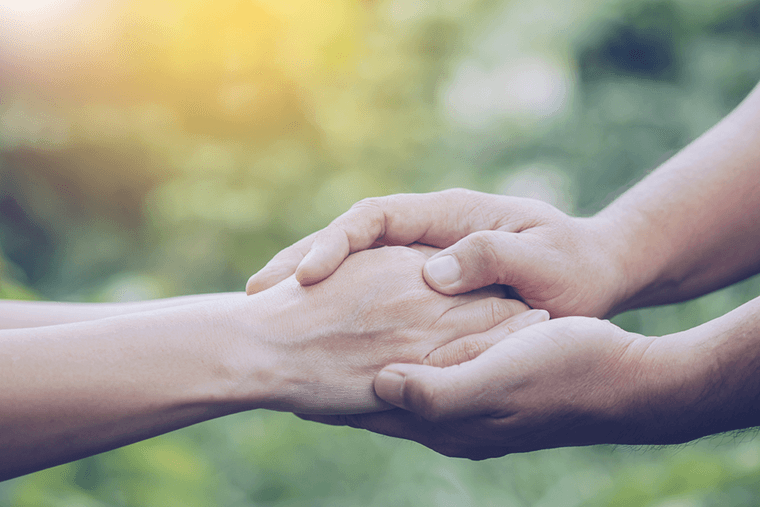 Empathy is directly related to listening which is one of the key skills in communication. Hence, be empathetic when listening to the other person who tries to explain their part of the story. Listening to them with complete empathy and responding in a favourable tone increases their trust in you. When you listen to them in a genuine manner, the other person understands your interest in the relationship. This is when the suppressed love surfaces all over again mending the broken relationship automatically. What else can be a better way to fix a broken relationship than kindling the love hidden underneath for egoistic reasons? One key point to note whenever you put in efforts to fix a broken relationship is – Never ever bring in the past bitterness between you in the present. Treat the present situation in hand in an exclusive way. Avoid talking about the past just to win over the argument. Remember, you are trying to fix a broken relationship where pulling in the past may cause more damage than good. When you decide to take efforts towards fixing a broken relationship, make your mind up not to bring in the past events into the current situation. This clarity will help you to fix the broken relationship quickly and at the same time very easily. Handle the situation with calmness. Make sure that your past must never haunt you in the present scenario. Even if your partner harps on past events, convince them to talk only about the present things. Make your intentions clear to them so they co-operate with you to repair a broken relationship. Most relationship issues arise when mutual acknowledgment of emotions fails to happen. With all said and done, each one of us is independent individuals who differ from each other in various aspects. We differ from each other physically, mentally, emotionally and psychologically. Our expectations vary from each other. Therefore, the physical demands we exhibit in a relationship differs in depth. And the environment around us influences the emotional attachment levels we have for each other. It requires very high levels of understanding and apathy towards each other to comprehend the other person’s physical and emotional requirements. Failure to understand the physical and emotional demands of the other person causes dissatisfaction and a feeling of let-down.This increases the distance between the concerned in the relationship whose demands remain unmet. When you want to fix a broken relationship, ensure you change your attitude towards the other person. Clinging on to the attitude that does not foster the valuable relationship in any way is imprudent. Just let go of your attitude and make small changes to strengthen your relationship. Get closer to the other person and meet their emotional demands. When emotional needs are satisfied, relationships last longer than we actually imagine them to be. Most of the relationships break mainly due to the blaming attitude of either one or the both individuals involved in it. Many of us are in the habit of blaming others when things go wrong unexpectedly. Consequently, when this blame game crosses all limits and the person who is at the receiving end feels fed up, the relationship enters rough waters. Prolonged blame game further hurts the relationship over a period of time breaking it once and for all. The moment you realize that you have been unfair in the relationship and it hit the hard rock due to your blaming attitude, take course correction. Stop passing on the bug to the other person. If you are truly interested to fix a broken relationship, handhold the other person in the relationship. Talk with them and understand what caused the problem every time when something goes wrong. Address each problem individually and find solutions together. Do not focus on who caused the problem. Instead, spend your time and energy together to bring in perfect solutions for the problems. All relationships are based on trust. Anyone who wants to retain a relationship for lifelong must exhibit high levels of trust with each other. Trust is where love begins. Trust is the force that retains love through its roots. Indomitable trust fosters relationships in a steadfast manner making it survive the worst of the storms we face in life. Believe in the other person if you are truly interested to fix a broken relationship. Show the other person your genuine interest in the relationship you share with them. Express your trust for them in a vivid style and tell them you love them for who they are. Give them the hope that you will never let them go off whatever may come in life. Show them the high levels of trust you have in them and express your need to be trusted at the same level. Mutual trust exchanged between each other in a relationship keeps it intact for a long period of time and make it divine. Time is an important factor that decides the nitty-gritties of relationships in every minute way possible. Spending enough time matters a lot when it comes to mending relationships that have gone berserk due to various reasons. However, spending too much time in pointing out the flaws of the other person concerned will spoil the relationship completely. But in the same wavelength, not spending enough time with the other person will lead to separation sooner or later. It is important that quality time is spent with the other person involved in the relationship so they realize their importance in your life. Spending time with each other enhances freedom and trust in a relationship. It relaxes the tensions created by the mechanical lifestyle we live these days. So, if you are seriously interested to fix a broken relationship, ensure you spend enough time with the other person. This will help them understand how much you value the relationship. The feeling of gratification such as understanding spreads in their mind will make them co-operate with you to fix a broken relationship. Relationships can be hard but not impossible. Relationships are easy things to handle when it is understood in the right way. There is no standard formula to make a relationship work. Every relationship is a different calculation. It takes a lot of efforts to work out the permutations and combinations of every relationship. When the above-mentioned efforts are taken and given its importance, it is easy to fix a broken relationship. Over time, these small steps make a huge difference and ignite the passion in your relationship. Great, this article clarified my doubts, it gave me the holistic vision, the solution of all the disagreement. I was doing all wrong: I saw him as guilty of all this situation,I always bring the past to new disagreements, 🙈…Thank you to open my mind. No problem is an end to a relationship and it is never too late. Open up yourselves completely to your best guy and life will be a blissful journey. And very happy that you found the article helpful. You are always welcome! Com it be saved even if he is not even willing at this time? Well, if he is not willing because of any good reasons, you MUST definitely correct it and give it a try to fix the relationship given the wrong lies in your part. If the breakup is because of something that doesn’t deserve your true love for him, let go of him. The world is big and you must move on. There is definitely something big waiting for you. Either way, very good luck.